After weeks, months or even years of writing about a particular subject, it can become quite easy to develop writer’s block or run out of new ideas. This process is especially frustrating for brands, businesses and blogs that focus on niche areas of interest: how else can you continue to pump out desirable content when you have covered everything? Fortunately, this is where a second level of creativity can be accessed to generate new and exciting pieces of content. 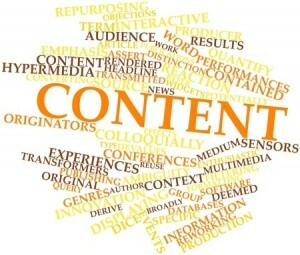 The repurposing of content is the best way to get out writer’s block and find new purpose for your old writings. We’ll discuss the reasons why this is a good idea in the following article, so that you can be inspired to get out of your current rut. Every time you write a new article or blog post, you must put time into the researching of the content. Even when you write about the same subject day in and day out, pinging networks for information about a new take on things or a different way of accomplishing a certain process is a necessary feat. When it comes to repurposing content, however, you can eliminate this time from your schedule. Estimates suggest that anywhere from one-fifth to one-third of content creation is based on research; think about how much more you can get done while repurposing content instead of writing it from scratch! Each time you create a new blog post or page on your website, you create a new pathway for people to find you. The creation of content can be a struggle when working from scratch, but repurposing content allows you to re-do said content in just a fraction of the time. While many people are out there link building through the use of their existing content, others choose to create more and more content through repurposing – allowing their increased reach to ultimately bring in more traffic. As long as you have a properly indexed site map and posts are not isolated from the rest of the website, each repurposing piece of content you create will increase the likelihood of people finding all of the other pieces of content you have. Not everyone responds to the same message in the same way. Sometimes, our writing may be more technical, while it can come across as informal in other cases. Whenever you spin content and repurpose it in a different format, you increase the chances of reaching an individual on their own “wavelength”. You also boost the likelihood of engaging people who are following you on social media; while you might not share the same piece of content over and over on social media, you can share five different variations of it on five separate occasions, each with its own twist on the subject. Repurposing content is a great way to get the most out of your creative juices. Not only will you be pinging networks on social media and search engines with more links, but you will create multiple variations of content that can maximize the likelihood of others reading and enjoying it. You’ll also save time on research, seeing as how everything you’ll need is already in front of you.